Take the Lost Coast pledge today! A coalition of conservation groups, sportsmen, and community leaders has come together in the northwest corner of California around a simple goal: to protect some of the last, best public lands and waters along the fabled Lost Coast. The Lost Coast is renowned for its wild steelhead and salmon streams, among them legendary rivers such as the Trinity, Eel, and Mattole – the mention of any one of them is enough to get a steelhead angler’s pulse racing. There is no fishing for steelhead without good steelhead habitat. 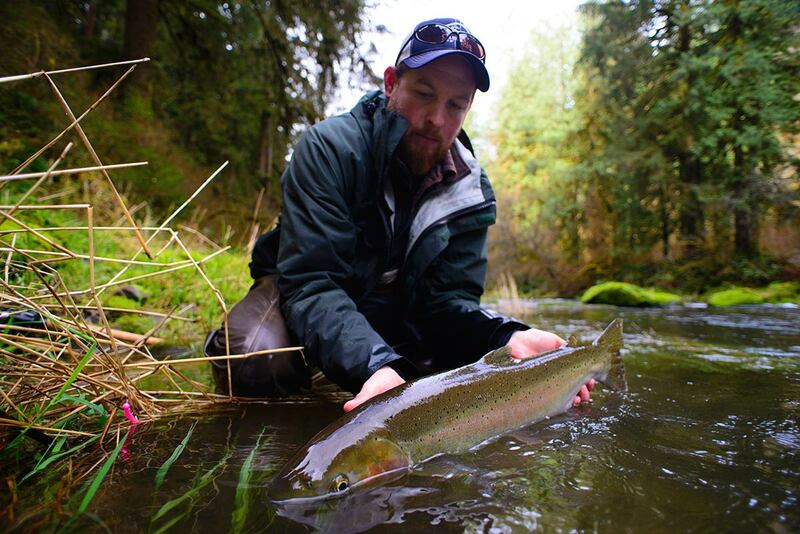 Despite drought, climate change, and increasing water diversions, the Lost Coast still has some of the best steelhead habitat and wild steelhead runs in the Lower 48. Most of this habitat – and the lands which buffer it – is found on public lands administered by the U.S. Forest Service and BLM. While some of these lands and waters are now permanently protected from large scale resource development and road building, much of this vital habitat is not. 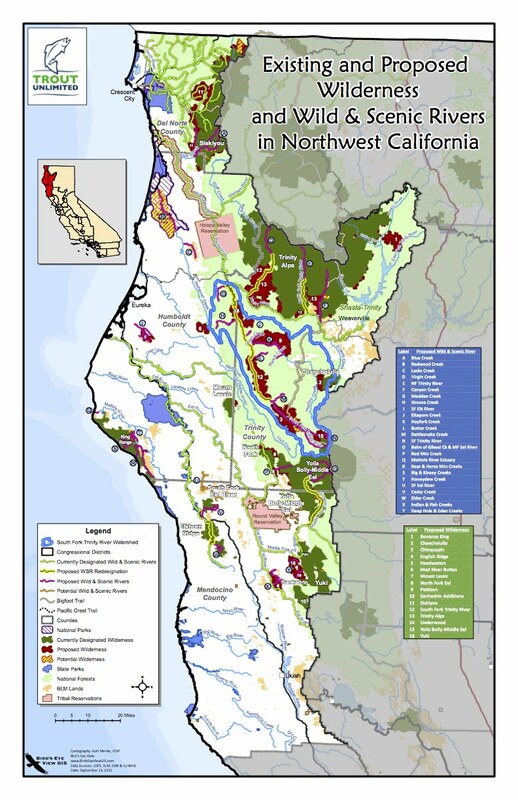 There is a strong correlation between lands and waters which still have “wild” character and good spawning and rearing habitat for steelhead and salmon. As population and development pressures increase, public lands with wild qualities are becoming increasingly rare. To keep our sporting heritage alive, we must protect these few remaining areas of prime habitat. Special designations for deserving lands and waters, such as Wilderness, ensure that these resources are managed primarily to protect their wild qualities, habitat values, and existing recreational uses such as fishing and hunting. Our proposal would preserve existing, legal roads and trails that are important for access, and would not affect access to, or the use of, private lands. Since the 1950s, we have lost thousands of stream-miles of steelhead and salmon habitat along the Lost Coast due to dams and other development. In this time of extreme drought, a warming climate, and unrelenting human demand for water and other natural resources, it is more important than ever to protect the functional fish habitat that remains from new dams and diversions. A proven way to protect key tributary streams and river segments with still-wild qualities is to have Congress designate them as “Wild and Scenic” rivers. This designation prohibits construction of new dams and limits development in and adjacent to the stream. See the attached document for a list and description of proposed Wild and Scenic River designations. No existing water rights, existing dams, or legal diversions would be compromised or otherwise affected by this proposal. While better protecting the best remaining habitat along the Lost Coast is crucially important, it is also imperative that we improve management of other public lands and waters in this region — to restore habitat, sustain local economies, and expand and enhance outdoor recreation opportunities. Our proposal includes at least five projects to achieve these objectives. Rep. Jared Huffman (D-2nd) represents the Lost Coast region in Congress. 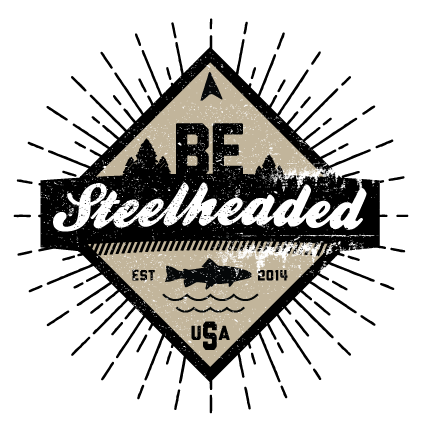 Rep. Huffman is a dedicated steelhead angler and conservationist, and has invited the coalition to submit ideas about how we can better protect the habitat and sporting heritage of this iconic region. Please show Rep. Huffman that you support TU’s Lost Coast Wild Steelhead Initiative.